After the occupation of Manchuria by soviet troops, Harbin fell upon troubled and difficult times. Having been deceived by false information about the position of the Church in the U. S. S. R., the very old Metropolitan Meletius recognized the authority of the Moscow Patriarchate over himself and his clergy. "I do not consider it possible to accept soviet citizenship, nor will I accept it, until such time as I am one hundred per cent convinced - by facts and beyond any shadow of doubt - that the persecution of religion, anti-religious propaganda and baiting of the Church's servants have ceased completely; when the Church, which is not merely "separated" but has in fact been banished from the State, once again takes Her rightful position within it." And His Eminence never did take out Soviet papers throughout the many years of his stay under communist rule in China, despite the grave danger in which such a stand placed him. On another occasion Archimandrite Philaret was subjected to certain disciplinary measures for his outspokenness. Having read in an issue of the Moscow Patriarchate's Journal the name of Lenin included in a list of geniuses and benefactors of the human race, Archimandrite Philaret expressed his indignation openly in a sermon from his pulpit which became widely known. 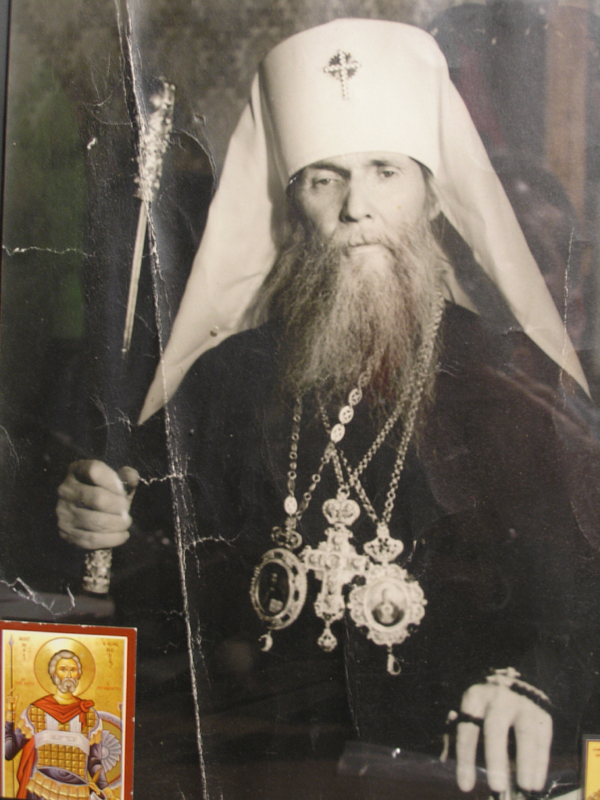 In spite of frequent warnings and threats, Archimandrite Philaret repeatedly urged his flock to refrain from all pro-Soviet declarations and demonstrations. In his own words, he "never defiled his mouth and his prayers by praying for Antichrist's servants." At the same time, in the course of quite a number of years, he had kept in touch with His Eminence, Metropolitan Anastassy by various means, disregarding the real danger connected with these activities. The Holy Synod had been taking all possible measures to get Archimandrite Philaret out of China since 1953. Visas to various country were obtained for him repeatedly, but no advantage was taken of them. Sometimes this would be owing to the fact that he refused to leave his flock to the mercy of fate; at others, the communists would not issue an exit permit. And so His Eminence remained in a position which he himself described as that of a hunted rabbit being pursued by a pack of hounds. Next is an excerpt from an address from Archimandrite Constantine (Zaitzev) of Jordanville Monastery, NY. "All that has been said here must be kept firmly in mind, insofar as we come to comprehend the spiritual state of the world. Do we remain successively tied to our holy past to such an extent, as to look through its eyes on all that is happening around us? If we have blended with our environment, making common cause with it - all is over! We are already not with Christ. We are already incapable of "hearing" not only "Moses and the prophets," but the Risen Christ Himself. We are in the power of that, by which an apostate world is living: faith in Lie! Nor is there any need to think that immersion into this dark element is the result of some, so to speak, formal act of renunciation of Christ's Truth. In infinitely varied forms does Falsehood creep up upon us, poisoning, and finally, also substituting our consciousness, if only we do not stand on constant spiritual guard over our witnessing. How many similar occurrences happened to be observed in the Far East, where the paths of God and the paths of Antichrist were fantastically interlaced in the vain hustle and bustle of life. One event is to me especially memorable. I came to be under one roof for a certain time with a very worthy priest (batiushka) under conditions when around us was taking place one of those paroxysms of fascination for sovietism, of which there were many among Russians abroad. He was an invalid who moved about with difficulty, but quite capable of serving. Well, one day he says that he has decided to go over to the Soviet Church: there is no danger in this for him, as he is perfectly well aware of what she really represents, but in his invalid state he does not have the strength to employ himself in any other way ... This shift took place immediately, easily and simply. We continued to live under the one roof - and I, in one conversation with him, happen to use the habitual expression "Soviet church." He interrupts me: - "What, Soviet church? There is only a Russian Church!"... Within a few days - a complete metamorphosis. And this came to be observed constantly. When a man took a Soviet passport -he became a different person. You walk around Shanghai with the cross and come to the home of one such "returnee" - already there is something wrong, both in the manners and appearance of people. A substitution has occurred of the inner "I". And one may well ponder here, over what mystic significance a signature has. Invariably in the Soviet consulate, after general and friendly discussions, it was offered in conclusion to: - please affix your signature! But quite apart from Christ-selling formalism, the very inclusion of oneself into this atmosphere of conciliation - let it take the most seemingly innocent forms - was capable of changing a man ."